Imagine the roads you traverse daily. In what situation will we be if the traffic engineers who designed these streets didn’t even consider the amount of cars crossing them, the width of the road, or how many lanes there should be? These streets won’t be able to contain the usual amount of Cebu traffic at a given required speed. Traffic would be so chaotic. There would be bottlenecks and lots of lags. And, it would be hard to go from point A to point B in your everyday commute. The same holds true for your bandwidth speed. It only works well if there’s good planning that goes along with it. Certain types of uses need different network bandwidth levels. What are you and your household or staff planning to use the network for? Streaming high-definition films on Netflix? Just using it for social media and email? Creating and sending huge files for architects and engineers? Using online software to do same-day editing using large video files? Knowing what you’ll use the network for and the number of bytes per second they consume across the network is a matter of life and death. Even though it may look unproductive, a couple of hundred staff members who send out emails during their shift may not need as much network bandwidth as a few video editors who stream, download, and edit videos while communicating with their offshore clients through video conferencing. Once you identify what application bandwidth you need, you have to determine the bandwidth capacity of your infrastructure. You also need to keep in mind this important piece of information: signals grow weaker in strength over farther distances. The same rules is true here. Larger and more high end ethernet cables are designed to control noise but they have to come in a bigger diameter to be able to do so. 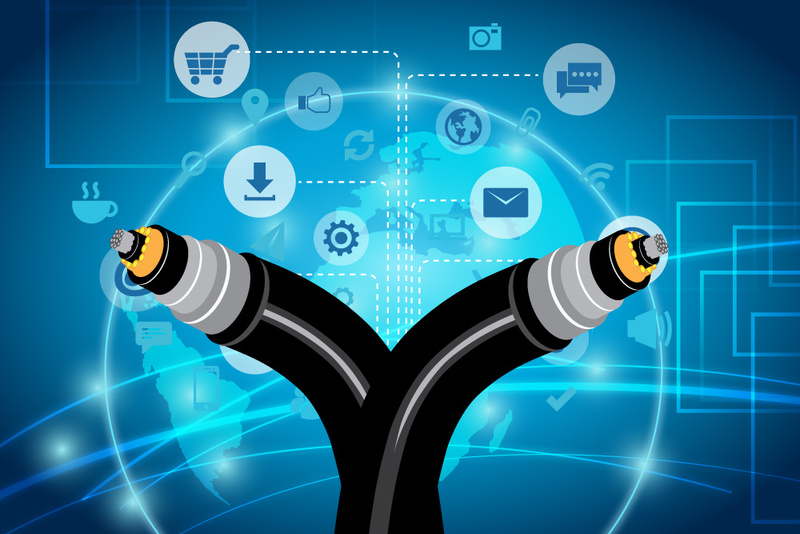 Fiber optic cabling systems have reduced this problem, giving the opportunity for LANs to improve network bandwidth without being bulkier than copper cables. The wrong cable balance can have adverse effects on your network bandwidth potential. Cable balance isn’t about the category of cabling that you use. Cable “balance” makes sure that cabling systems provide the right electromagnetic compatibility needed for maximum performance and also to remove interference. To have perfect balance, voltage and current on each conductor must fall under the same magnitude. To achieve the balance needed, both of the cable’s insulated conductors must have the same size and material. They should also be twisted the same way. This requires accurate design, as well as precision in the way they are made. If you need assistance in knowing your network bandwidth, or need to have a better network to accommodate your growing requirement for bandwidth levels, call a certified fiber optic technician from the fiber optic association in Cebu.